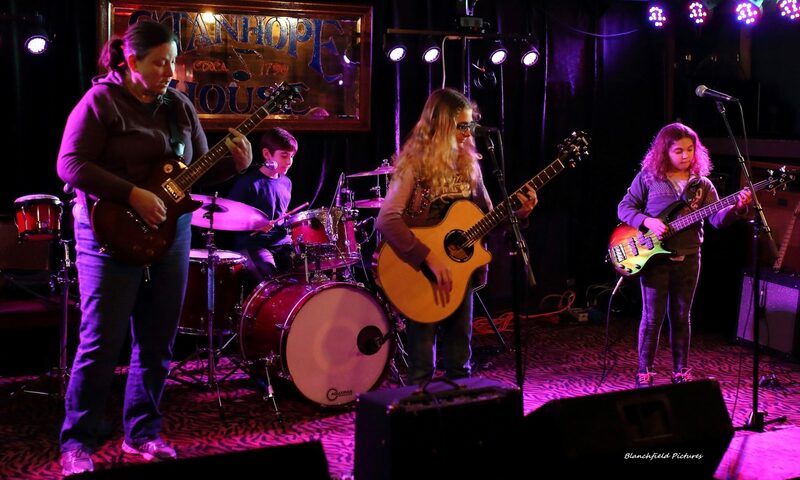 nj arts maven: INTRODUCING THE GREEN PLANET BAND: RECYCLING ROCK N’ ROLL ONE SONG AT A TIME! INTRODUCING THE GREEN PLANET BAND: RECYCLING ROCK N’ ROLL ONE SONG AT A TIME! Kylee - 12 years old. Guitar and vocals. She's a Girl Scout. Tyler - 10 years old. Drums. He plays baseball. Anna - 10 years old. Bass guitar. Enjoys art. The Green Planet wants to keep the Earth healthy and clean. They love helping others and their community. They live by three words: Respect, Consideration and Integrity. Kylee Rapp, Tyler Rapp and Anna Rapp formed The Green Planet band when their elementary school was holding a talent show. They decided to play Rock n Roll. They practiced their first song together, Why Do Fools Fall In Love, for 30+ days straight. Click HERE for the video. On May 26, 2016, The Green Planet performed out for the first time at their school talent show. Kylee, Tyler and Anna decided to continue as a band and haven’t stopped since. The Green Planet YouTube Page.